Harris School Solutions is excited to welcome Glide School District of Glide, Oregon to the Harris family! 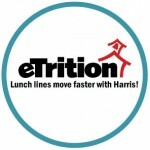 Glide SD will be implementing our cloud-based solution nutrition solution, eTrition (SaaS), and integrating with EZMealApp.com for online Free & Reduced meal applications. All of Glide SD’s software updates, data backups, and maintenance will be managed by Harris’ Support Team, allowing their child nutrition staff to focus on what matters most — school nutrition!